As seen worldwide on National Geographic Channel’s Banged-Up Abroad, Shaun Attwood moved from the UK to Arizona as a penniless graduate and became a millionaire. After getting heavily involved in club drugs, a SWAT team smashed his door down. In the harsh reality of Arizona’s penal system, Shaun was forced to reappraise his life. Reflective, philosophical, occasionally terrifying and darkly humorous, Shaun Attwood’s Life Lessons seeks to help young people put their lives into perspective as they wrestle with the trials of adulthood. 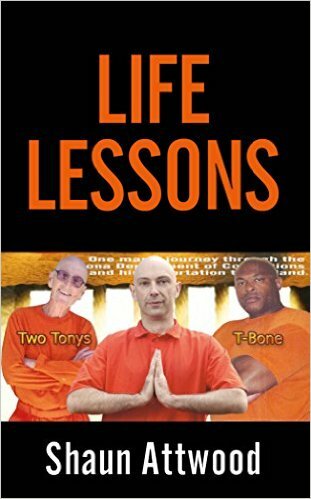 These lessons are told through hard-hitting stories from Shaun’s life – from high-flying share trader and party animal to prisoner in Arizona’s deadliest jail and super-maximum security prison. In an age which sees an increasing weight of pressure fall upon young shoulders, teenagers and young twenty-somethings will find this book offers invaluable support and an array of tools they can use as they negotiate the pitfalls and hairpin bends of their own lives.